In March 2011 Susanna released a new album called Susanna Wallumrød “Jeg vil hjem til menneskene”, on the label Grappa Musikkforlag. Susanna has written music to poems by the Norwegian poet Gunvor Hofmo’s beautiful dark lyrics, and recorded it with a top notch band. 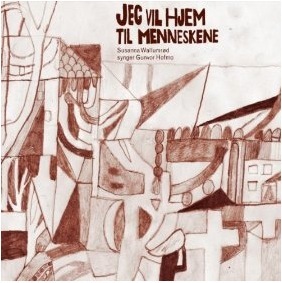 In english the album is called “I want to go home to the humans”, and it is the same title as Gunvor Hofmo’s debut-release from 1946. The musicians playing on the album is Ståle Storløkken (keys), Erland Dahlen (drums/percussion), Jo Berger Myhre (bass) and Hans Magnus Ryan (guitar), and it is produced by Helge Sten. The album received great reviews, and the band has been playing concerts with the material throughout the spring and early summer. They will play at Canal Street festival in Arendal (N) on the 28th of July, and do a tour again in September.